Taking a slight deviation from strictly ‘trading pit’ history, the origins of any futures trading I find interesting and recently obtained these telegraph orders regarding Indian opium futures from 1869 and 1870. Now it might be a slight stretch to refer to these as ‘futures contracts’ because ultimately there was no clearinghouse but there was standardization in terms of delivery month, quality grade, delivery location and quantity. Opium was traded in chests which weighed to a standard, historically estimated at 140 lbs and that came about to be what two men could carry at a time. According to records of the British East India Company, there were distinctive grades of opium which had varying prices due to quality differences such as Turkish, Malwa, and Patna. 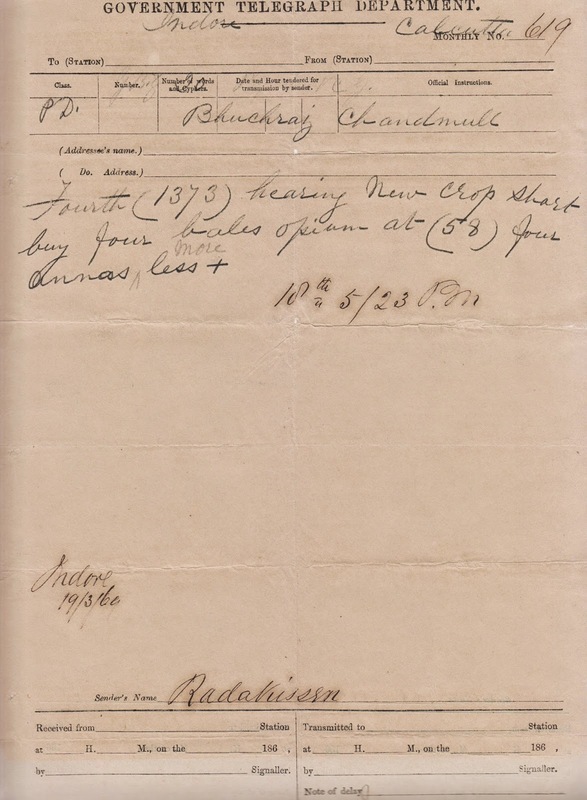 The two telegraphs below are on behalf of the Buchraj/Buchraz family who were prominent opium traders in the city of Indore, modern day Rajasthan but was then known as Malwa. I’m not going to dip into the history of the Indian exchange rates but 29000 sounds like an awful lot to have been purchased. FYI, annas were an Indian currency unit and this trade was done in that denomination. Appears to simply be a trade confirmation from Indore to Mandsaur, the city which served as the center of the Malwa opium trade. 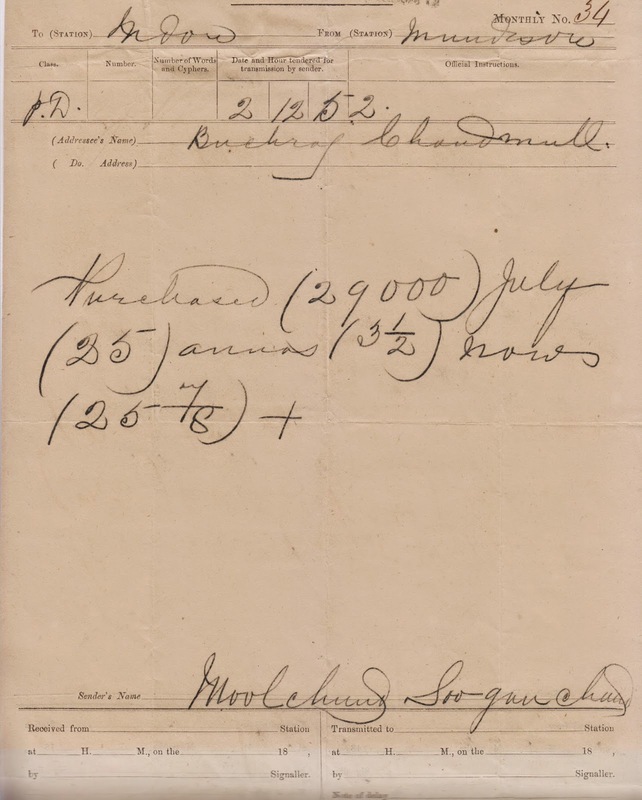 The principles of supply and demand are no different for any crop and this telegram is using information from the growing area to purchase opium at the primary trading center of Calcutta. 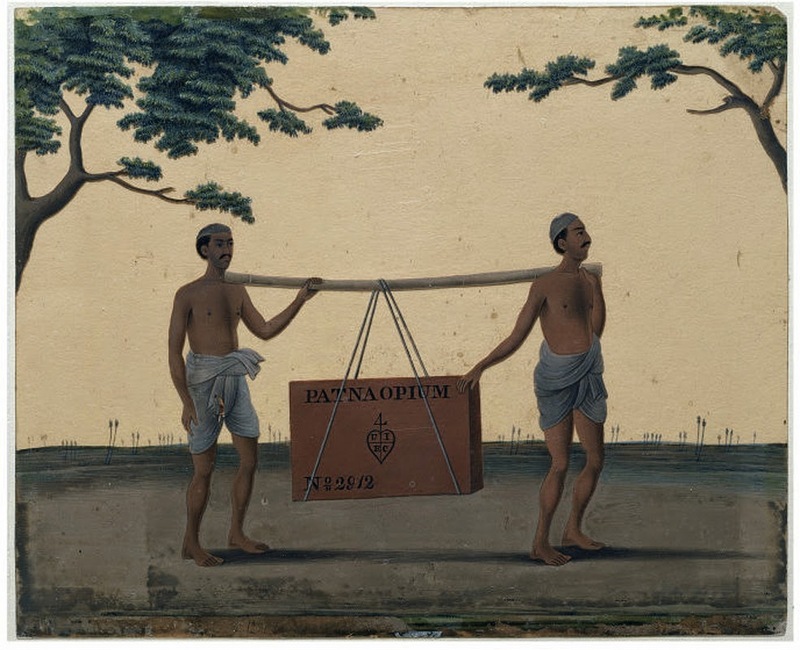 For an excellent and illustrated background on the opium industry during the late 19th century in India, I highly suggest looking through this link from MIT (yes that MIT) Visualizing Cultures. In addition while on the topic of opium, I can’t recommend highly enough Nick Tosches’ article “Confessions of an Opium-Seeker” which was first published in Vanity Fair and then expanded as a book The Last Opium Den. Tosches is an amazing author and this piece remains one of my all time favorite pieces of writing.